RIGHT FROM THE START ... YOUR NEW IBM ELECTRIC MEANS MORE TYPING IN LESS TIME! Tag Line RIGHT FROM THE START ... 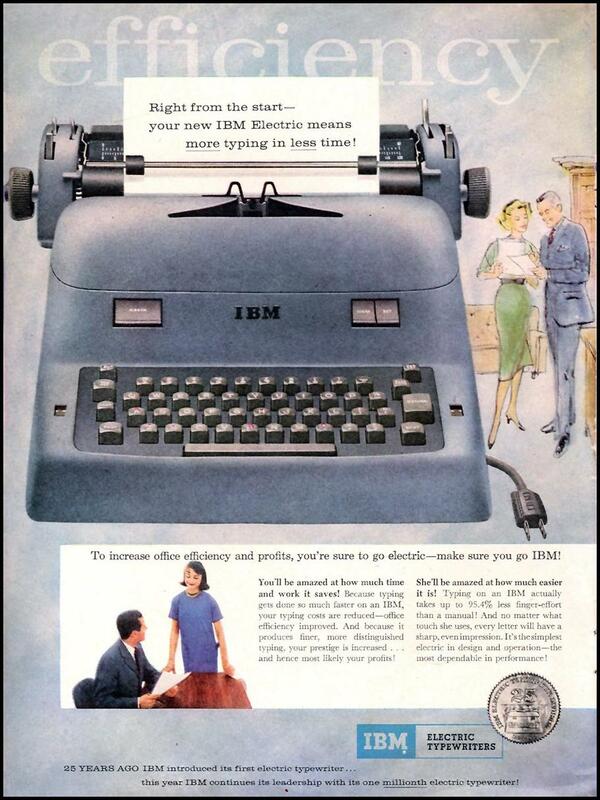 YOUR NEW IBM ELECTRIC MEANS MORE TYPING IN LESS TIME!